What makes a great mattress for people who sleep on their side? Being side sleepers ourselves, we can personally attest to firmness, support and pelvic rotation all being factors that should be considered. People with this sleeping habit can suffer from back, neck and hip pain but tend to have better air flow and snore less than others who sleep on their back. Firmness is a very important factor. A model that is soft to moderate on the firmness scale is going to be the best option. In order to provide the proper support that you need, it must be able to conform to and contour the curves of your body. A soft or medium firmness allows your body to sink a little bit more than one that’s very firm which helps it to hug your body. This ability to conform and contour to your body’s shape is excellent for pressure relief on your neck and back as well. Support is the other important factor that you should consider. 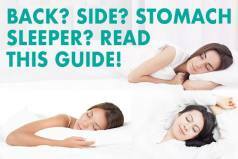 Your spine may be misaligned due to your sleeping position. A mattress with the best support is going to relieve pressure points throughout your body and keep the spine, neck and back in alignment. Due to varying sleeping positions on a nightly basis, the proper support is crucial in providing your body the contouring it needs throughout the night. Pelvic rotation is the result of misalignment of the back muscles and lumbar spine. When you sleep and twist or curl your legs up in the opposite position to your upper body, you cause pelvic rotation. You can do a few things to help with pelvic rotation, such as sleeping in a side position that keeps your spine in alignment and using a pillow between your legs to maintain spinal alignment. 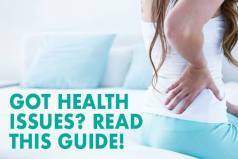 Choosing the proper mattress can help prevent pressure points that may cause you to adjust your sleep position during the night which causes pelvic rotation. These models are some of our favorites for side sleeping. While not an exhaustive list, they are the best of the ones we have tested as we are side sleepers ourselves. The Novosbed is reasonably priced coming in at $1099 for a Queen. It is a good price given the quality materials and construction used in this mattress. The Nolah is also one of our top picks for side sleepers, for several reasons. The Nolah is different in that it uses their proprietary Nolah Air Foam, which has a variety of properties that make it an excellent choice for side sleepers. 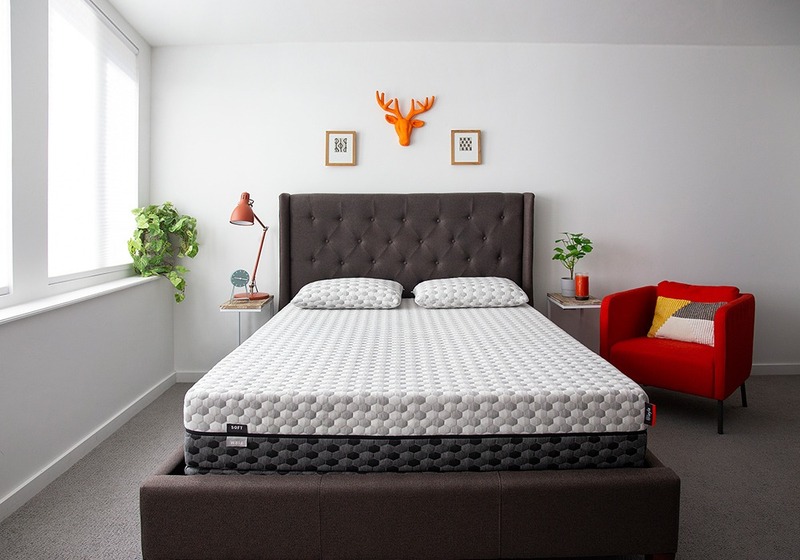 As mentioned, the Nolah uses their proprietary Air Foam, which provides 4x less pressure on the hips, shoulders, and back, which is especially important for side sleepers that need a mattress that provides a neutral spine position. It still provides that classic memory foam feel of hugging and contouring the body during sleep, but with the added benefit of sleeping much cooler than traditional memory foam, which is known for sleeping hot and not being 100% temperature neutral like the Nolah. We rate the Nolah at around a 5.5-6 on the firmness scale (10 being firmest), and the mattress definitely softens up over time as your body gets used to it. This is good, as some mattresses start out too soft then after breaking in, get even softer which causes your spine to become misaligned and thus result in painful sleeping. At $800 (saving $125 by clicking here and using our code MFTALK), the Nolah is an excellent choice for side sleepers and one that is hard to beat! The Loom and Leaf is an excellent choice for a variety of reasons. It is 12″ thick and made up of 5 different layers of high quality foams and other materials including medical grade cooling gel in the comfort layer. It is one of the best options for side sleepers due to the exceptional comfort and support, as well as the classic memory foam feel of hugging and contouring the body during sleep. However, the Loom and Leaf doesn’t make you feel like you are sinking into foam, which is something that other lower quality mattresses in this price range can’t promise. The Loom & Leaf is available in two different firmness models, a Relaxed Firm, which we rate as a 5-6 out of 10 (10 being firmest), and the Firm model, which we rate at an 8 out of 10. The Relaxed Firm model provides enough softness for comfortable sleeping on your side, while at the same time providing excellent support for the spine and body. For side sleepers, the Relaxed Firm is the best option in our experience sleeping on this model for a long period of time as our personal “go-to” solution. At $1099, the quality and comfort are hard to beat. The Layla is another great option and is unique in that you can customize the firmness of the bed simply by flipping it over – going from around a 5-6 on the firmness scale (10 being firmest) on the medium side to an 8 out of 10 on the Firm side. The softer side of the Layla is great for side sleepers as it allows enough cushion to support hips and shoulders when sleeping on your side. The Layla is also a classic memory foam option that utilizes copper infused memory foam as well as ThermoGEL in the cover which helps regulate body temperature which provides a cooler sleep. This is a great option with great sleep technology including the copper foam and flippable firmness feature. It provides great support and comfort and is one of the best choices if you are a side sleeper. If you are a side sleeper and want a comfortable yet supportive sleeping solution that won’t break the bank, the Nectar Sleep is a great choice. You can get this luxury product for a very affordable price, especially with our $125 off coupon. It has that perfect firmness which provides the right contour and support for side sleepers as well as back and stomach sleepers. 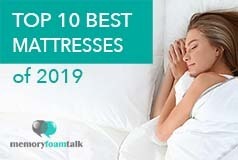 This combined with their 365 night sleep trial, forever warranty, and low price given the high quality materials, makes Nectar one of our top picks for this category of mattresses.